An Amazing app dedicated to the discovery of additions & subtractions, for children 5 to 8 years! 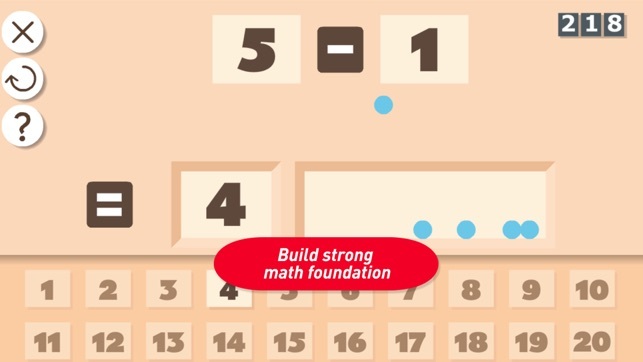 Want to build a solid math foundation for your children? 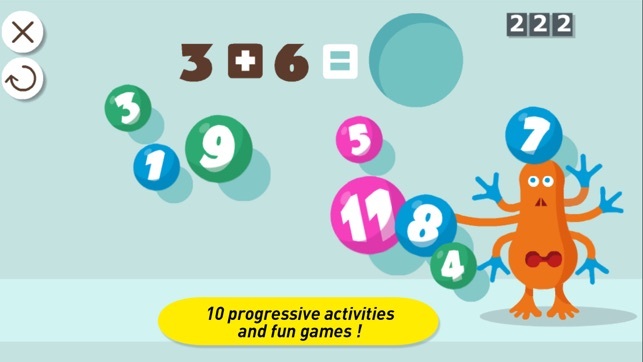 Montessori 1st Operations is a revolutionary app allying a 100 year old proven pedagogy with the best of 21st Century technology and fun monsters to introduce 4 very important concepts (addition, subtraction, doubles/halves, odd/even). 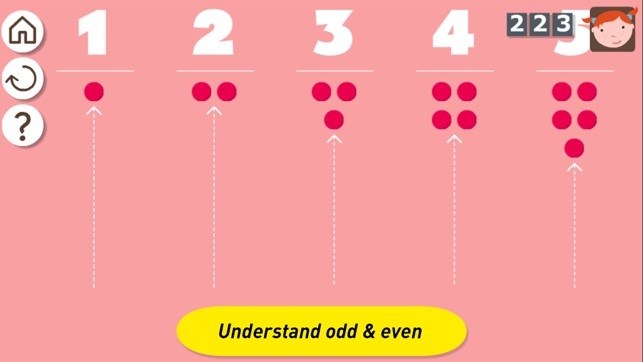 It offers a clear and simple approach to first operations that will change the way children see math forever, whether they use it in class or at home. We've implemented a dynamic progression algorithm that follows each user's progress and adapts the games according to their level. - Learn Math on an interactive app with charming graphics! 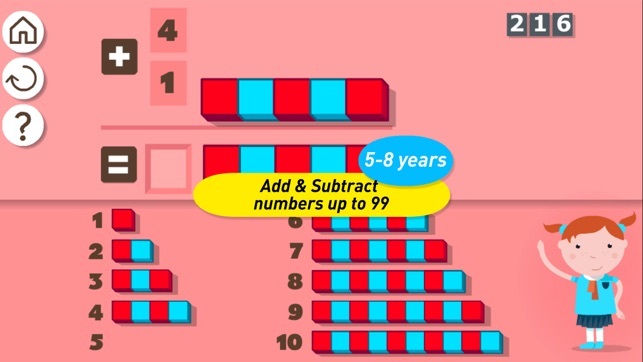 - Master on addition and subtraction through a natural progression with numbers from 1 to 99! 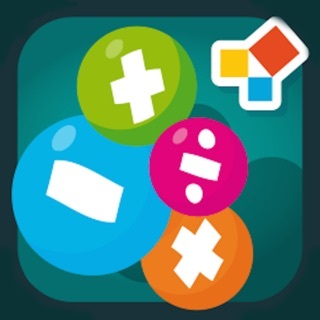 - Get into multiplication and division using the concepts of double and half! - Launch the playbox, who contains lots of games! 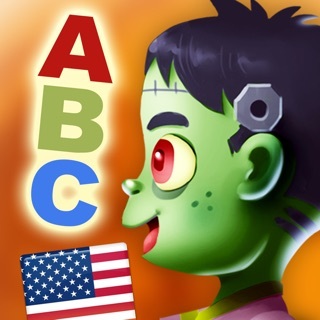 - Have fun with the “Monster lab”, creating your own monster ! 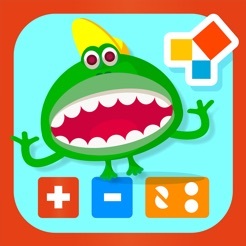 Download 1st Operations now, and be ready to become unbeatable at math! If you like Montessori First Operations, you will also like our other educational apps: http://edokiacademy.com. If you have questions or comments on our app, please email us at: support@edokiacademy.com as we cannot answer reviews left in iTunes. 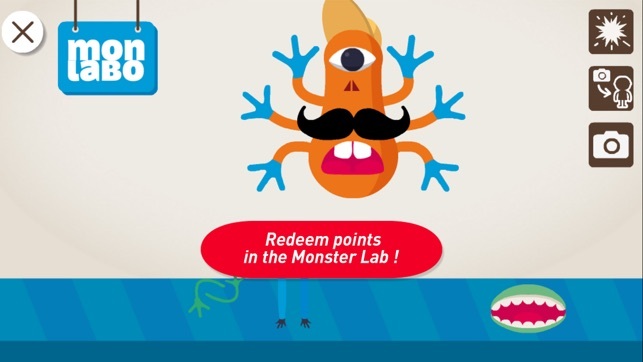 Fun new games, an incredible monster lab and connexion to our parental dashboard! My 4 1/2 yo loves this app! She is motivated and feels accomplished when she solves a question and gets points to acquire more monster parts. Admittedly, her favorite thing to do is blow them up, but in the interim she has mastered simple addition and is now learning simple subtraction, simple division (halves, quarters, etc) and is curious about even and odd numbers. This app has supported her learning with me - mostly because the app is as tireless as she is and there are only so many times I can set up objects for her to calculate before I reach my limit. I like that I can customize her learning so that it's appropriate to her level - she's not yet ready for double digits. She was getting frustrated using big sister's profile so I made a new one for her where she has built her confidence and looks forward to her time on the iPad so she can play her monster math game. All in all, I have no complaints - rare indeed for an expensive app. It's stable and responsive on our iPad 2 and my iPhone 6P. The music/audio is pleasant and not annoying. Excellent math app for kids. Fun and easy to play. I love the lab where you can experiment the monsters! Montessori Math Challenge, calculate faster!